The next parliamentary election is scheduled to be held in 2019 but the political parties are scrambling to gain political mileage by waiving off farm loan. The scramble became even more evident when the National Congress Party president and former union agriculture minister, Sharad Pawar, met Prime Minister Narendra Modi on March 15 over waiving off farm debt. Modi had promised farm loan waiver in 2014 elections and also in recently concluded Uttar Pradesh assembly election. Congress vice-president Rahul Gandhi had also taken dig at Modi for not fulfilling the promise. After Modi’s promise during UP election campaign, Maharashtra chief minister Devendra Fadnavis also came under pressure to waive off loan. Shiv Sena, an ally of the BJP in Maharashtra, had stepped up demand for waiving off farm loans in Maharashtra. The opposition parties like the Congress and the NCP have been raising farm loan waiver issue in the state assembly during the budget session that started on March 6. Uddhav Thackeray, president of the Shiv Sena, has urged the state government to take a call on this issue instead of letting opposition parties to get advantage of it. Following the strides of UP and Maharashtra, Karnataka may also take call on farm loan waiver. In the state budget, chief minister Siddaramaih announced a record Rs 10,845-crore allocation for agriculture, but he was silent on the issue of waiving off farm debt. Late chief minister of Tamil Nadu, J Jayalalitha, had also promised waiving of loan in 2016. “Promises made during election often remain empty,” says Devinder Sharma, a Chandigarh-based food and agriculture expert. Government is looking for favourable timing to announce loan waiver to get election dividend. It is being said that the 2018 budget session would be an appropriate time for it. The Indian farmers incurred debt of Rs 12.60 lakh crore. The bulk of the total outstanding loan, which is around 76 per cent, was taken from the commercial banks. As per the 2011 census, total number of cultivators are 11.8 crore. It means every farmer has an average debt of more than Rs 100,000. It results in distress migration and suicide. Every hour, according to Census 2011, around 100 farmers are giving up agriculture and at least one farmer is committing suicide. 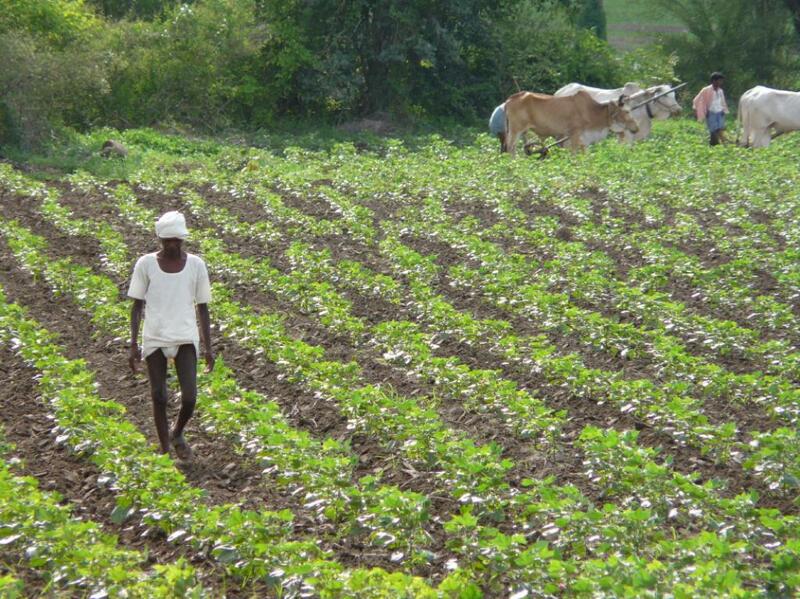 Estimate farm debt in Uttar Pradesh is Rs 20,000 crore. It is Rs 23,000 crore and Rs 69,000 crore in Maharashtra and Punjab respectively. As the noise over farm debt waiver got louder after unprecedented win of the BJP in Uttar Pradesh (and Uttrakhand) and the Congress in Punjab, the chairman of the State Bank of India, Arundhati Bhattacharya, recently expressed reservations. According to her, such sops may disrupt credit discipline among borrowers as farmers, who would get their farm loan waived off, would expect further loan waive in future. Of the total farm loan, 61 per cent is crop loan and rest is term loan. The crop loan stands at Rs 7.75 lakh crore and term loan stand at Rs 4.84 lakh crore. Crop loans are also called short-term loans for seasonal agricultural operations like ploughing, preparing land for sowing, weeding and acquiring and applying inputs like seeds, fertilisers, insecticides and labour for all operations in the field for raising and harvesting the crops. Term loan is given for allied sectors like dairying, horticulture and also for farm mechanisation, minor irrigation, lift irrigation schemes and land development activities. Is Modi government going the UPA way? With eyes on 2019 Lok Sabha elections, the demand for waiving off farm loan would get louder. In 2008, the congress-led UPA-I government announced package of Rs 60,000 crore for loan waiver a year before 2009 Lok Sabha elections. Besides, it also increased allocation for employment generation scheme. It helped the UPA-I to come into power again with huge mandate in 2009. In the line of previous experience, the Modi government has already increased allocation for rural employment generation scheme, MGNREGS, and possibly announce farm loan waiver by 2018. According to market economists, waiving off farm loan would create unnecessary fiscal stress and give wrong signal about reform. Meanwhile, Devinder Sharma has been justifying waiving off farm loan, stating that it is nothing in comparison to bailout packages for industries. “If like rich defaulters, farmers’ debt, too, was ‘written off’ (and not waived), more than 50 per cent of farmers’ lives could have been saved,” says Sharma. instead of waiwing off farm loans of farmers government should focus on making our farmers strong enough to repay the loan. government should formulate the kind of policies which not only helps farmers to increase their productivity but also their income from the agriculture produce.